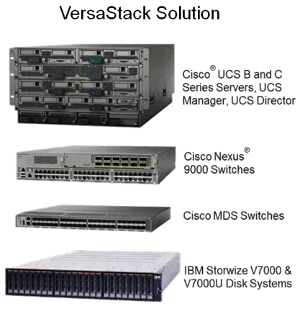 VersaStack is an efficient and flexible integrated solution that combines Cisco UCS Integrated Infrastructure and IBM Storwize storage. The VersaStack solution gives the opportunity to take advantage of integrated infrastructure solutions targeted at cloud, big data and analytics, and mobility solutions. The VersaStack solution is backed by Cisco Validated Designs to provide faster delivery of applications, greater IT efficiency, and less risk. Learn how to benefit from the VersaStack solution and how to implement the integrated solution. Our training portfolio includes three VersaStack courses for different target groups. Please contact our Customer Service for any questions regarding our offerings, you can reach us under +20 2 2622 8085/86 or via Email info@fastlanemea.com. Our coaches are happy to tailor courses to suit your company's circumstances, goals and requirements as well as participants' prior knowledge and skills. We conduct your customized training session either in one of our training centers or on site at your company's premises. Simply let us know what you need and contact us.